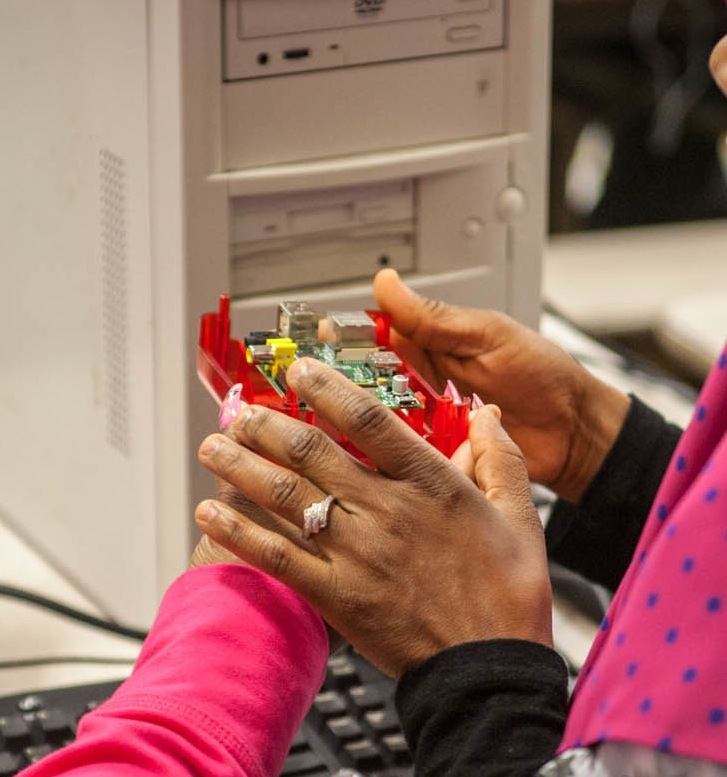 The Center for Digital Inclusion (CDI) is leading multiple efforts to improve the democratic, social and economic vitality of communities through the use of information technologies. CDI is committed to weighing how best to address digital literacy by building capacity in people, organizations and communities to satisfy human development needs with information and communication technologies. CDI has successfully obtained large grants to support and sustain local broadband adoption to incubate new applications that will run on ultra-high speed broadband networks; to examine effective ways to promote news literacy among youth nationwide; to create and/or redesign public computing spaces for better collaboration; and to facilitate discussions among library, government, corporate, and nonprofit leaders about how libraries, as anchor institutions, can leverage gigabit-speed networks and applications to benefit communities. Our projects page reflects the variety of work in these areas. To maintain a diverse and broad range of perspectives, CDI works with iSchool affiliates in the fields of history, youth services, information in society, and socio-technical data analytics. CDI is committed to recruiting, supporting, and mentoring library and information professionals from underrepresented populations, as inclusive practices and ideas help generate innovative solutions for challenging and urgent world needs. CDI manages the certificate in community informatics as part of the iSchool master’s program, as well as collaborates with the Community Informatics Research Lab, the Center for Informatics Research in Science and Scholarship (CIRSS) and the Center for Children’s Books on various research, curricular and community-based projects.